You Are The Roots: Good News All Around. Today marked my one week of bedrest. My appointment with my OB brought great news: apparently bedrest is working. "Signs of preeclampsia" has remained as such and didn't morph itself into actual preeclampsia which is, of course, a fabulous thing. My baby shower is still on and I'm just to continue on as I have been because it's working. That's what I like to hear! I also don't have to return for another two weeks which makes me feel more like a normal third trimester mom-to-be instead of someone with something to worry about. With that good news brought to the table, I promise to (try my hardest) not to complain about being on bedrest again. I can handle six or seven weeks of laying around in bed. I can do this. Not that I'm surprised, of course. My husband and I both emerged from the womb looking like monkies! He's still measuring a bit ahead, with most of his measurements fitting in more with 34 weeks (I'm 32 weeks and 4 days) but that's okay. He weighs 4 pounds, 12 ounces and is still breech! Not that he needs to feel any pressure to flip since I already have my c-section scheduled for other unavoidable reasons so he can remain however he is comfortable -- as long as he remains in there and remains comfortably! My doctor also gave me the good news that my husband and I can go out to dinner this evening. This is added good news because today is our two-year wedding anniversary! I can't believe it's already been two years and that on this day, two years after our wedding, we were sitting in a doctor's office looking at an ultrasound of our little boy! And how cute is the ultrasound picture!! 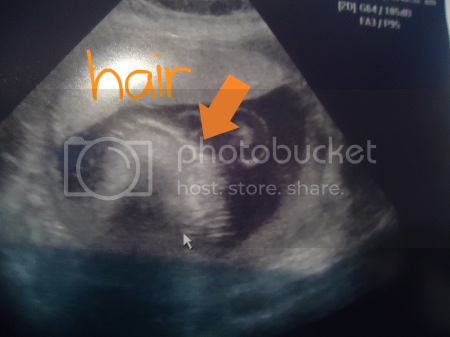 I had NO idea you could ever see hair on an ultrasound. Crazy! That is so awesome that you don't have pre-e!! =] I was rooting for you to get better and that you and Baby we're going to be safe. 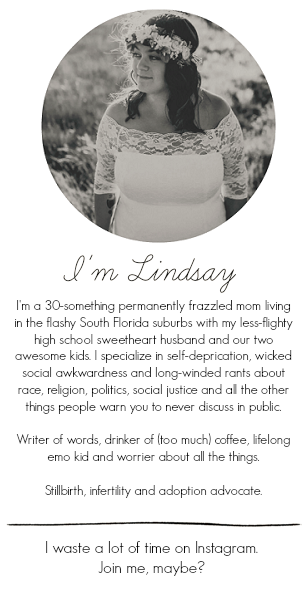 And, also congrats on being able to keep your baby shower =] You must be beyond thrilled! oh my god the hair is SO CUTE! أفضل شركة تنظيف خزانات بمكة هي شركة العنود التي تضم فريق متخصص ذو خبرة بالمجال يقوم بكافة الأعمال علي أفضل مستوي حيث يحقق لكم خدمة مميزة في عزل خزانات بمكة أيضاً. أعلي مستوي يمكنكم الآن الحصول علي نقل عفش الطائف من خلال شركة الإخلاص و الآمانة التي تعد من أهم الشركات التي تتخصص في النقل و تستخدم أحدث أجهزة و معدات للنقل يستخدمها فريق متميز . & Then There Was Bed Rest. I think he'll need a 2nd closet.